ARIENS BLADE 14-7/8" X 5/8"
Ariens/Gravely 04265400 Blade. 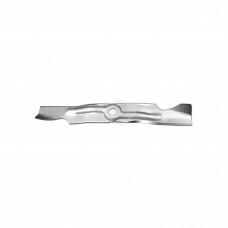 Fits ZT 42, Zoom 42.Replaces:ARIENS 04265400GRAVELY 04265400Dimension..
ARIENS BLADE 17.35" X 5/8"
Ariens / Gravely 03971900/03746500 (03746500 old #) Blade for 50" Zoom & ZT50. 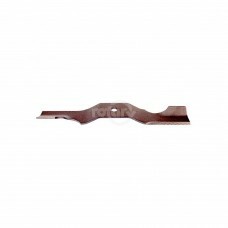 Without Air Lift Hole..
Copperhead Mulcher Blade for our 15-12242. Requires 2 to fit 46" Deck.Replaces:AYP/ROPER/SEARS 403.. 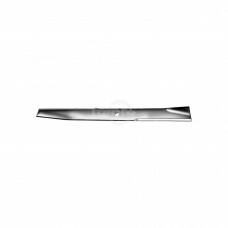 Heavy Duty Blade for our 15-12242. 2 Fit 46" Deck.Replaces:AYP/ROPER/SEARS 403107AYP/ROPER/SEARS 532..
AYP 421825 Craftsman / Husqvarna 22" Walkbehind Mower Blade W/5 Point Star Hole.Replaces:AYP/ROPER/S..
Blade replaces Excel/Hustler #793802. Left Side Blade. Fits 36" Hustler Mini Z & Trimstar. 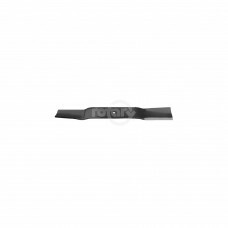 Use our 1..
Blade replaces Excel /Hustler 794206 Blade fits Mini-Fastrak 36 Side Mulching. 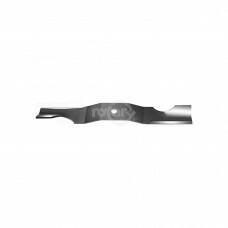 Used w/our # 6290.Rep..
Blade replaces Cub Cadet #742-04053A. Fits RZT Series Tractors. Model #RZT50. 50" Cut.Replaces:CUB C..
Blade replaces Cub Cadet #742-04068/#942-04068. Fits Series 1000 Hydrostatic Lawn Tractors. Models: ..
Grasshopper #320236 Blade. Standard Lift.Replaces:GRASSHOPPER 320236STENS 320-044WINDSOR 50-2153Dime..
Blade replaces Excel/Hustler 797696. 3 fit 54" Z/Super Z 54 XR-7 Side Discharge. Commercial Mulche..
Toro #93-4106-03 Blade. Fits 21" Recycler Walkbehind. Fits Exmark Atomic.Replaces:OREGON 94-051STEN..
Toro #104-8697-03 Blade. Fits 22" Recycler Walkbehind. Fits Personel Pace Models. Has outside mount.. Fits Allen.Replaces:ALLEN H192271Dimensions:LENGTH: 18-1/2"WIDTH: 2-1/4"C. H. DIA: 1-7/32"THICKNESS:..